Direct Office Solutions is a long-standing company that is the go-to provider of used office furniture in Weston, Florida. We have been able to withstand test of time because of our firm commitment to 100 percent customer satisfaction, and we have grown over the years through the positive reviews that we get from satisfied clients. This Broward County gem is the home of many very successful business people, and we go the extra mile to satisfy their needs. From Andytown to City Center to the Bonaventure Boulevard/Saddle Club Road neighborhood, we will be ready to help whenever you need used office furniture in Weston, Florida. It is important to feel completely comfortable if you spend a great deal of time in your office, and optimal utility is also part of the equation. We offer a wide range of different types of executive desks, so you will definitely be able to find what you need when you browse through our inventory. 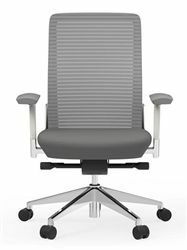 When it comes to office chairs, we have every conceivable option in stock, and we also offer guest chairs and conference tables with matching chairs. We provide comprehensive, turnkey solutions, so we stock office cubicles for area businesses of all shapes and sizes. Plus, our company is the premier resource for remanufactured workstations in Broward County. If you don’t know exactly how you should set up your office, or if you would like to restructure things, we would be more than glad to assist you. As long as you are buying your new or used office furniture from us, we will provide you with free space planning and design services. The executive desks, office chairs, conference tables, remanufactured workstations, and office cubicles that we provide for our clients are durable, high quality products that are sourced from leading manufacturers. And as we have stated, we have a talented in-house design team that can help you make the most of your office space. We handle all the installation chores, so you have all of your bases covered under one roof when you choose to partner with our company. If you are ready to take action, we would be more than glad to assist you. You can speak with one of our Weston, Florida new and used office furniture consultants right now if you give us a call at 954-440-4410.